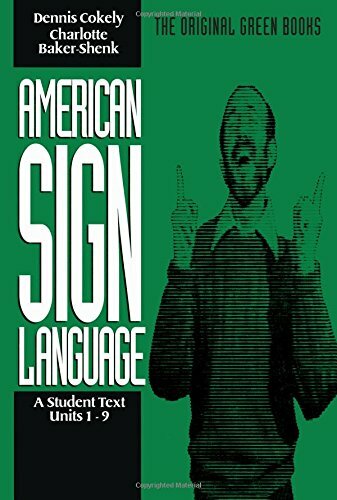 Best known as the Green Books, the American Sign Language books provide teachers and students of American Sign Language (ASL) with the complete means for learning about the culture, community, and the native language of Deaf people. A group of 15 ASL teachers and linguists reviewed all five books to ensure that they were accurate and easy to comprehend. The three Student Texts are designed to help students acquire conversational ability in ASL and an awareness and appreciation of deaf people. Each text contains nine instructional units that present major grammatical features of ASL through dialogues, introduce students to the intricate features of ASL structure, and discuss individual grammatical features, with sample drills to reinforce mastery of each one.